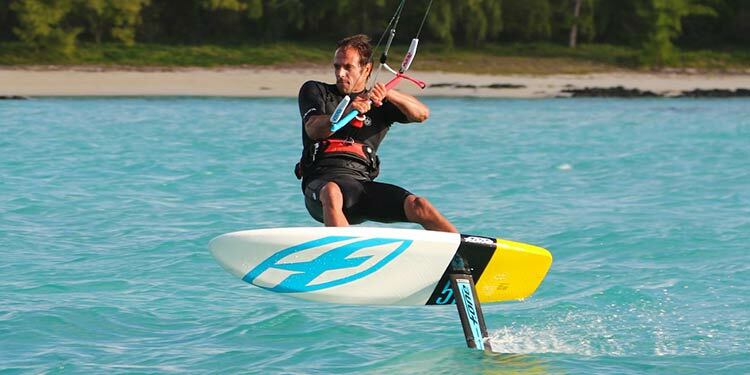 Kiteboarding is many things to many people and one side of the sport which has been around since the beginning but stayed underground until recently is kite hydrofoil. Not to be confused with foil kites, here we are looking at kiteboards with a 1 meter mast sticking out with hydrofoil wings bolted to the bottom. 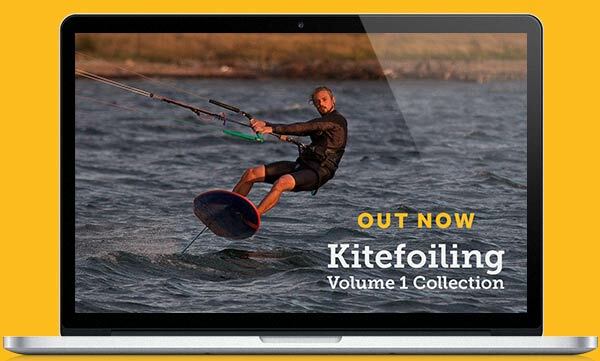 A couple of years ago the kite racers started playing with hydrofoils and this prompted them to be seen by a far wider audience. 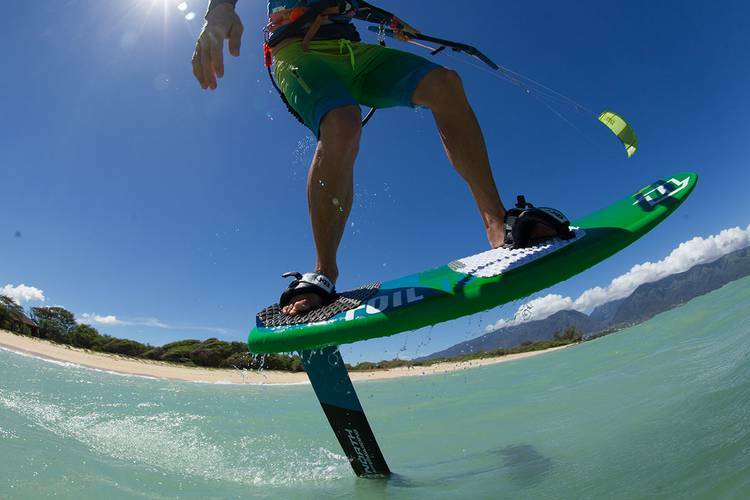 For 2016 it seems most of the big brands are bringing out kite foilboards and to many kiters it’s a the “new big thing”. What would you say are the basic dos and don’t when getting set up? Do it is the first key point. The feeling of flying in silence and travelling distance with little impact on your body is a great feeling. Do get the best advice on board & foil combo. Do go and learn in 15 knots or more. Do go out in flat water with smooth wind & ensure there is a space for long runs. All this will really help you progress. Do give yourself time – some people take 15 mins and others 10 hours to go along without crashing. Do wear a helmet and impact vest when you learning and be prepared to crash a lot! What is the first day gonna be like? What should you aim for at each stage of learning the basics? 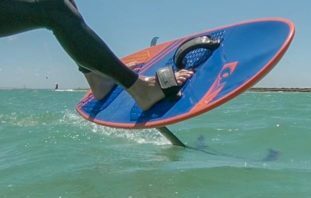 The aim for your 1st session is to deal with getting into the water ie body dragging out, water starts and getting up on the board without foiling. To ride along both ways with a foil in water is important. You are now going to get the board out of the water and have the hydrofoil kick in. You’ll start to get the “dolphin ” feeling – where you ride along with the board rising out of the water and falling back down repeated as you learn to deal with the new way in which you must balance and drive the board. Don’t be surprised if you crash a frequently at this stage! Learn to use the kite to fall away from the foil; many people prefer to have their back foot out of the strap. Keep your weight low and over the foil, not pushing at the back foot like on a twin tip. Your weight distribution should be more neutral like in snowboarding. This stage can take anything up to 10 or more hours to get the feel of pushing down on the front foot to control the height of the foil when you get lift. If all of the above criteria to help with this stage are in place, then this can speed up your progress. Make sure you keep the kite high and be sure to ride with a decent amount of power. By the end of stage 2 you should be going along for small runs – then often this will end in the foil rising out of the water and a crash. Concentration is 110%! Progress from smaller runs to going along for a longer length of time. This is normally riding so you are travelling upwind on a fine reach – somewhere between a beam reach and close haul which for most kiters is sailing as close to the wind as they have ever been on a twintip. You’ll have an issue to get back downwind again so if you have a good buddy or instructor then they can foil the board downwind for you! Or body dragging with it is another option. Downwind is more tricky for many so this comes later. By then end of stage 3 you should be comfortable riding in both directions and control is your main aim. Up until not you will have changed direction either by wiping out and turning the board round, or simply slowing down and falling in backwards. Now you’ll try your first gybes, which will be a touch down gybe at each end of your run. Here you enter the up on the foil, but as you slow you gybe the board to drop down into the water and “touch down” before raising up again as you accelerate in the new direction. Then progress onto a touch down gybe with a down loop of the kite ie Come off the foil by taking the back foot out of the strap & place it in the new strap while downlooping the kite to turn the board downwind & onto the new tack. Now it’s time to start riding downwind. The basics for this are your weight forward and over the foil with your front knee bent. The faster you go the more the apparent wind moves forward and then you can bear away and sail low! There is so much to learn and explore, you definitely won’t get bored hydrofoiling. First up is simply improving your stance and riding closer to the wind than you ever thought possible. Then you have learning to gybe and tack at full speed, jumping and just sailing faster and faster with more power. This will probably lead you to sell the beginner foil and get one that wants to ride fast, since the faster you go the more control you’ll have in transitions. The options are huge and there’s loads of scope for the next level in kiteboarding. There seem to be different types of hydrofoils – what are the characteristics of a good foil to learn on compared to a race foil? Recreational foils have lower aspect ratio wings with a shorter mast (around 85cm) whereas the race foils are around 100 cm mast with higher aspect front and back wings. Normally you can also adjust the back wing. The connections between the mast, wing & fuselage are more refined with smooth elements to enable little distortion of water flow. What size and style of kite should I use to learn with? Use whatever kite you have to start with. A kite with good depower is useful such as the North Rebel. 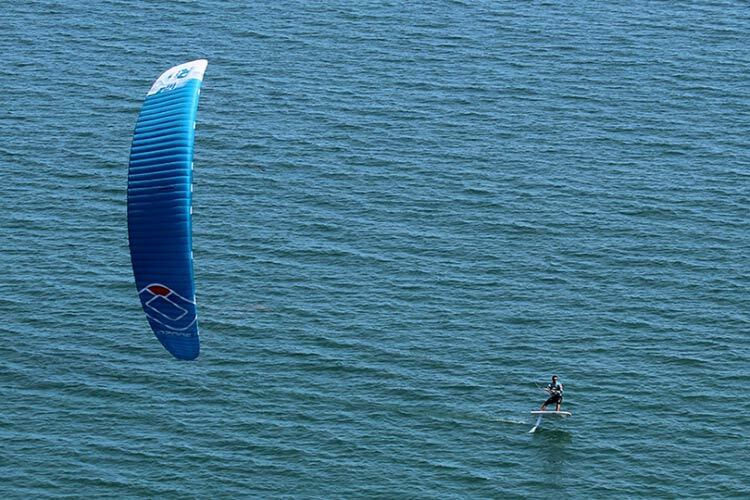 Racers seem to be using foil kites too, like the Ozone Chronos or Elf kites – are these necessary for hydrofoiling? They are not necessary for recreational hydrofoilers but once you are using them you never go back to the tube kites!! 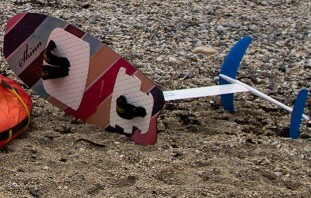 The foil kites add a huge advantage on all angles of racing. The new Ozone R1, Flysurfer Sonic, Elf and F-one Diablo are amongst the parafoils that enable us to get closer to the wind & we are able to go deeper downwind. Our apparent angle downwind is incredible and the new kites like the new f-one Diablo enable the rider to go almost downwind without moving the kites up & down. Would you recommend starting riding with your back foot out of the strap? Yes, it’s easier to get your balance and get free of the board when learning and inevitably crashing. You want to start using the back strap when you get the basics and want to go faster upwind and downwind. Eventually you will need to push hard on the back foot!! I thought kite foiling was supposed to get me out in really light winds, so why 15 knots minomum? It is amazing in light winds but the average rider will need power in the kite & you don’t want to have to fly the kite up & down for learning. Eventually when you have learnt to foil then going with a kite like the 13mtr dyno in 8 knots is incredible. What kind of beach is best for learning and will I get back to the same spot? Cross or cross onshore is ideal – ideally getting deep quickly & staying deep!! You will probably end up upwind & either need to body drag downwind or walk back downwind; something most kiters are not familiar with! What level does a kiter need to be at to try kite foiling? Good twin tip & directional board control, ie. know how to change your feet & understand the feeling of a directional board with less back foot pressure. Thanks to Steph for her insight and you can find out more about her on twitter at @stephbridgekite or through her shop & schools, Edgewatersports. She is sponsored by North Kiteboarding and Volvo cars. If you have any questions post them below and those of you with some experience with foils, add your own tips and experiences learning to hydrofoil, in the comments. Liquid force have a couple of great videos with tips to get you started. 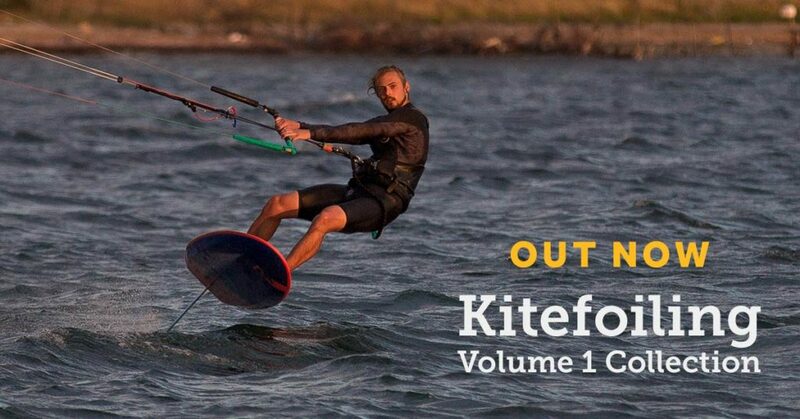 Thanks to North Kiteboarding, F-one and Ozone for the images used in this blog post.